A powerful audio format converter for interfacing SDI with MADI- and Dante-based audio systems. Netbridge UHD de-embeds up to 64 channels from four 3G SDI streams or a single 4K Quad-Link HD-SDI stream, and outputs them in MADI and Dante formats. It can simultaneously re-embed audio from MADI and/or Dante streams into SDI for onward transmission. It can also shuffle audio channels between SDI streams if required. SDI standards up to 4K-UHD are supported. Flexible routing and cross-conversion of up to 192 channels between formats may be easily configured using a standard web browser. All I/O types are independent: may be configured to create parallel outputs and input splits for recording, backup, etc. Netbridge MADI is a simple 1:1 bidirectional 128-channel format converter for interfacing MADI and Dante audio systems. Netbridge UHD is an advanced audio format converter primarily intended for interfacing the audio data embedded in SDI signals with audio hardware whose native format is MADI or Dante. SDI standards of SD, HD, 3G are supported; with four SDI inputs, various Quad-Link 4K formats can also be accommodated. Typically, it can act as a SDI break-in/break-out box for audio mixing consoles which use MADI or Dante as their native format. Netbridge UHD allows 64 channels of audio to be de-embedded from up to four SDI inputs and routed internally to its MADI and/or Dante AoIP outputs. The unit is bidirectional, so signals processed or mixed externally may be returned and re-embedded in outgoing SDI streams. Routing of audio channels between formats is configured from a web browser: for speed and simplicity, routing is configured either in stereo pairs or 8-channel groups to connect incoming channels to the required output destinations. Up to 32 pairs of stereo channels (max. 64 channels) or 32 x 8-channel groups (max. 256 channels) may be routed in this way. Ember+ protocol is employed for control, enabling the unit to be integrated with many broadcast automation systems. Audio-video synchronisation is maintained at all times by internal delays. 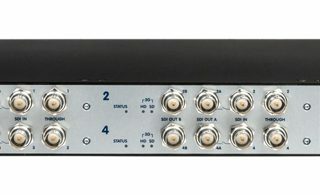 The unit has four 3G/HD/SD SDI inputs and outputs on BNC connectors; these may be used independently of each other to allow de-embedded audio from multiple SDI streams to be processed separately, or to generate audio splits with up to four 16-channel streams being routed to different sets of audio channels in the MADI or Dante outputs. This can be used to provide redundancy, for parallel recording or used in multi-language production. Alternatively, the four SDI inputs may be used in Quad-link format for 4K-UHD signals. Two RJ45 connectors are provided for the Dante interface; these may be configured for redundant operation if required. Up to 64 audio channels on the Dante network may be accessed (defined by Audinate Dante Controller). Netbridge UHD supports the 8-channel AES67 standard, and this mode may be enabled if the external equipment up- or downstream uses AES67. An SFP carrier fitted with a dual optical module (multimode or single mode) is provided for MADI I/O, MADI output also being available on BNC connectors. The interface is compliant with AES10 and 64 audio channels are available from the MADI input stream. Netbridge UHD is compatible with SNMP monitoring systems. 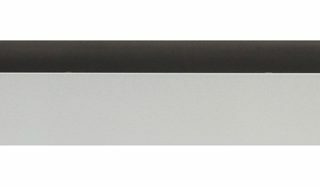 It is built in a 1U 19” rackmounting housing; dual redundant internal PSUs with separate IEC connectors and power switches are fitted. Hard by-pass relays in the SDI signal path are fitted ensuring signal continuity in the event of power failure.